Did you know that there's a blissful haven located right around the corner where you get to rejuvenate and unwind on the deepest level of your being, forgetting all your stress and worldly woes? Did you know about Spa Pavilion? We hope you did but in case not, here's your entry ticket to a world of inner peace and serenity, here's Spa Pavilion! Located at Hotel Raj Park in Alwarpet, Spa Pavilion offers a myriad of wellness services that help you relax your muscles, refresh your mind and renew your soul. 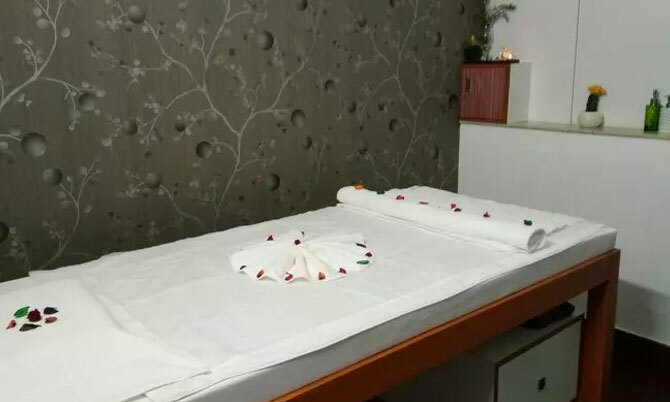 Through the use of fine herbal oils, potions, elixirs and herbs, the team of skilled masseurs here ensures that you an absolutely uplifting spa experience. A place that radiates positivity, Spa Pavilion features a decor that is soothing to the eyes and enchanting for the senses. They believe that wellness to each means something different and offer customized and personalized solutions that cater to your specific needs. When in the need of a reinvigorating experience, Spa Pavilion is where you should head to.